Oh, c'mon on. Not that kind of confession. No, nothing sordid. Nothing juicy. First, just an admission of laziness. 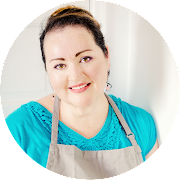 Since I moved in with my Grandmother and my Auntie, I have been too lazy to figure out where I can set up my studio lights to shoot my food photos both for this blog and the occasional freelance food shoot. The first couple of posts upon my return to blogging this year, I shot at the dining table that sits in front of three large windows. The light is good midday to early afternoon before the house next door hides the sun from me. And as it starts to make it's way past the 3pm hour, with some finagling I can still get the pictures I want. That is, until I realized that I was wasting perfectly good light upstairs. Uh, in the upstairs bathroom to be exact. So that's the confession: all my plated food shots that many of you have commented on have been shot with natural light in my bathroom. The white walls. The frosted glass window with no house or tree to hide the sun as it makes it's passage across the sky. Gorgeous, heavenly light. 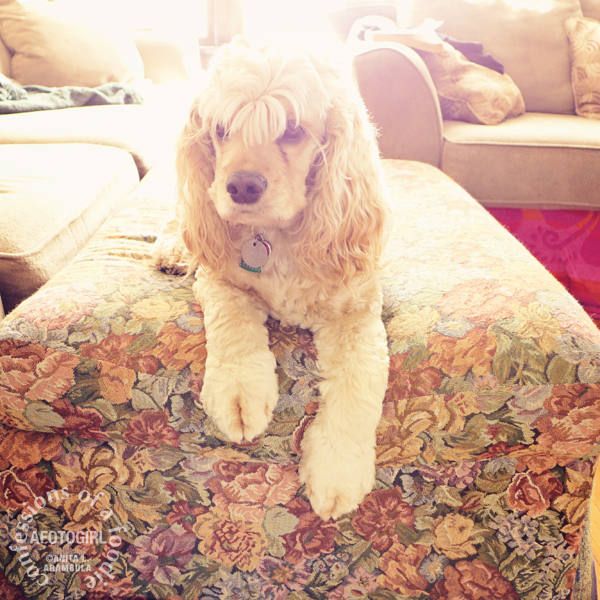 A few bounce cards and my nifty 50/1.4 lens and I'm golden. I still shoot the process photos downstairs since it's closer to the kitchen but I use my little Leica point and shoot for those. Low fuss. Love it. When I'm ready for the finished, plated food shot, I move upstairs and set up a folding table in the bathroom, near the small window. There is also a small skylight that light filters in from, bouncing around as it hits one white wall and then another. A makeshift background on my makeshift table and my Canon 5D and I'm set. My gorgeous baby patiently waiting for me to finish shooting so I can play ball with her. Love my Starbuck!! If I am ever in a position to establish a formal studio, access to such beautiful natural daylight on a grander scale will be a must. Don't get me wrong, I love my studio lights. They are easy to use and I can usually do a pretty darn good job of simulating natural sun light with them which allows me to shoot at night allowed me to shoot at night when Starbuck and I lived alone. 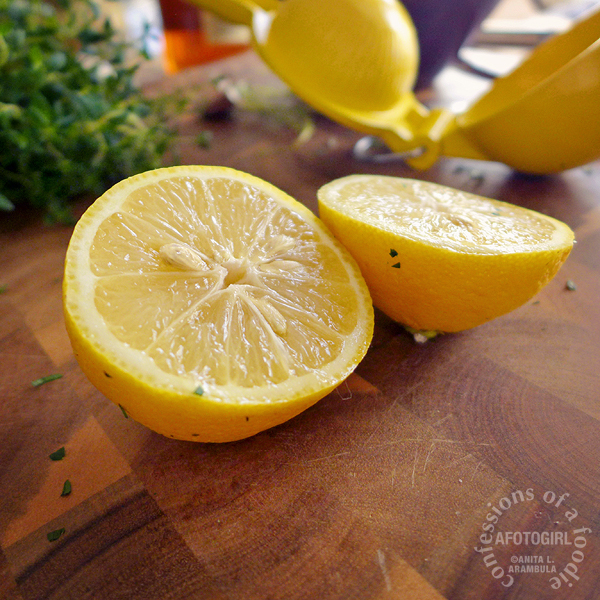 But here's the secret to really gorgeous food photography: nothing beats the real thing. Softly filtered natural daylight makes the food shine. Nothing beats the real thing. That can really be applied to so many things in life, don't you think? 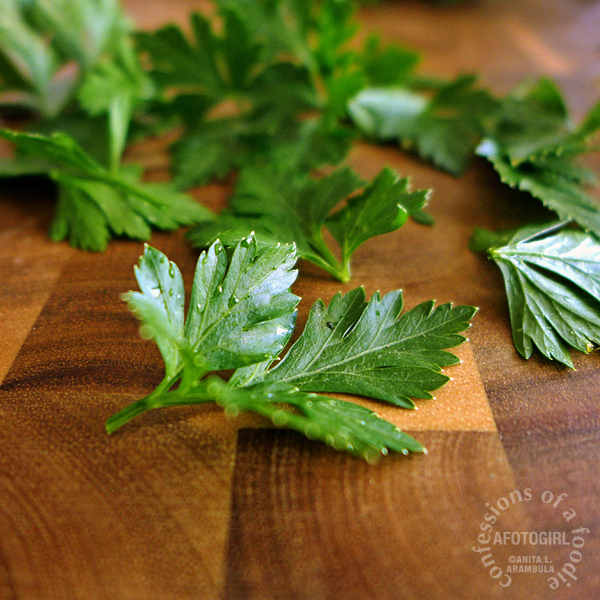 Add stock, water and nutritional yeast to a medium pot and bring to a boil. 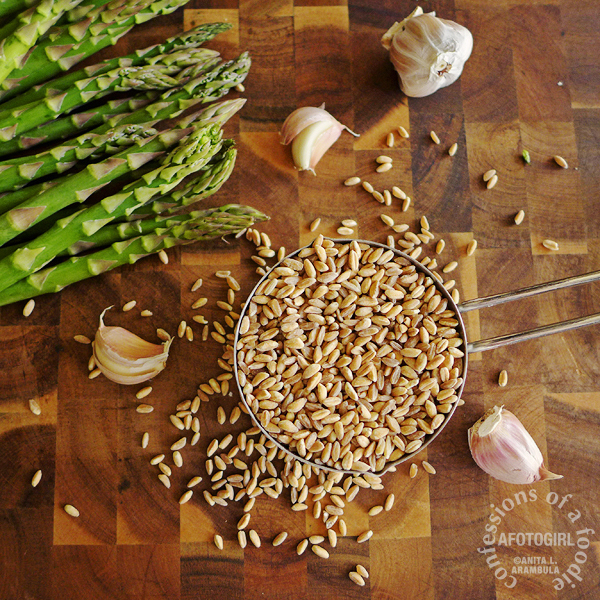 Add farro, salt, pepper and butter and return to boil then cover and turn down heat to it's lowest setting. Set timer for 15 minutes. Do not lift lid. When the timer goes off, turn off heat, leave lid on and allow to sit for five minutes. 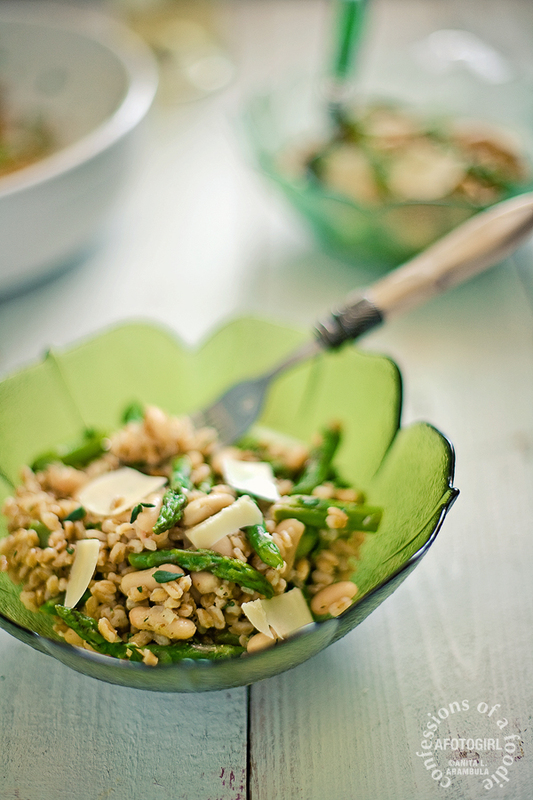 Strain off any leftover liquid and place farro into a large bowl (farro is best al denté allowing it to be a bit chewy). Add 2 inches of water to a medium to large skillet. Bring water to a rolling boil. 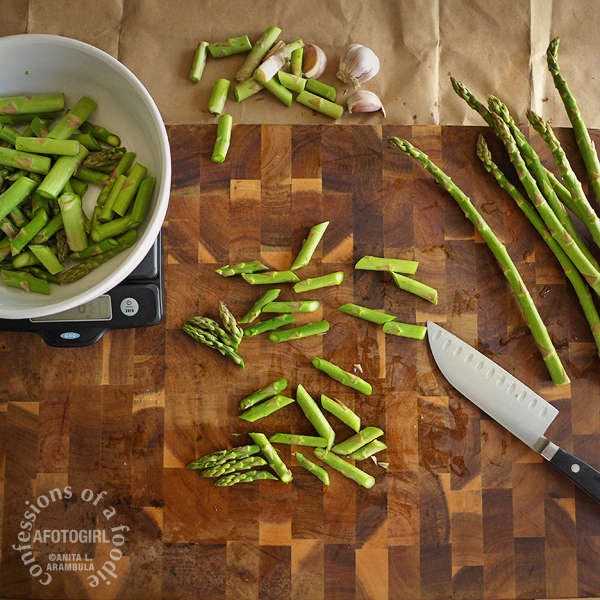 Add asparagus and salt. Blanch on medium heat for 3 minutes. 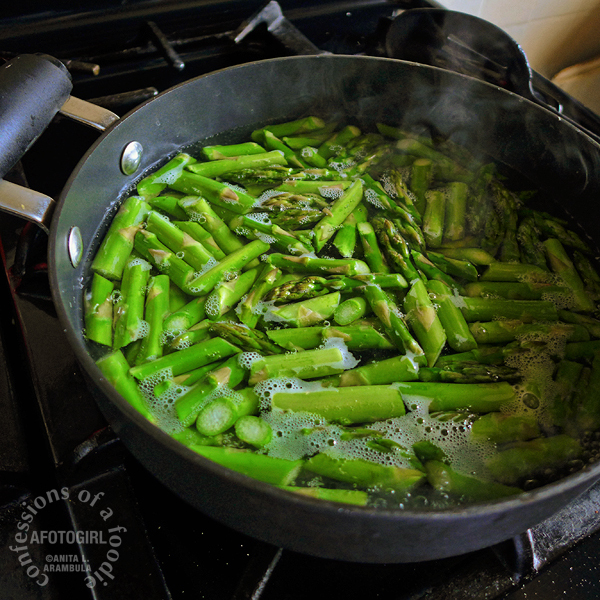 Strain asparagus and rinse under running cold tap water. Set aside. In the same skillet, heat the olive oil. 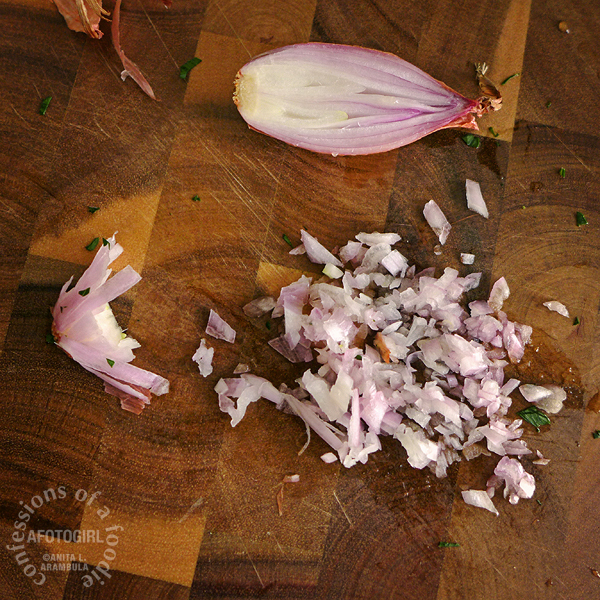 When it's shimmering, add the garlic and stir for 1 minute. 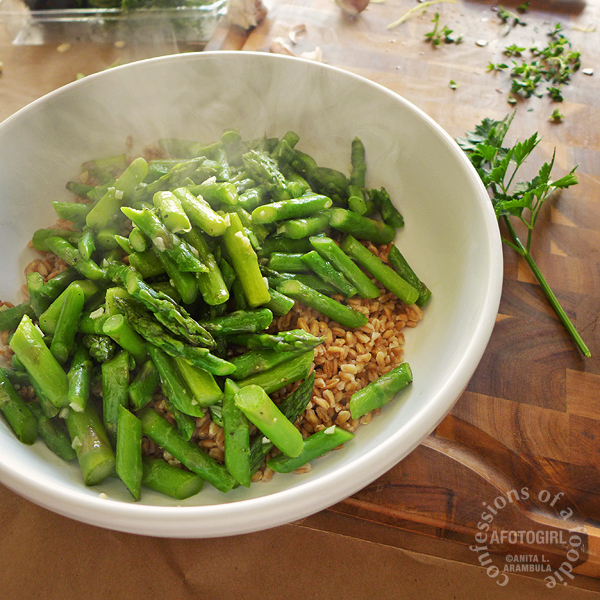 Return the asparagus to the skillet and stir-fry for 3 to 5 minutes. 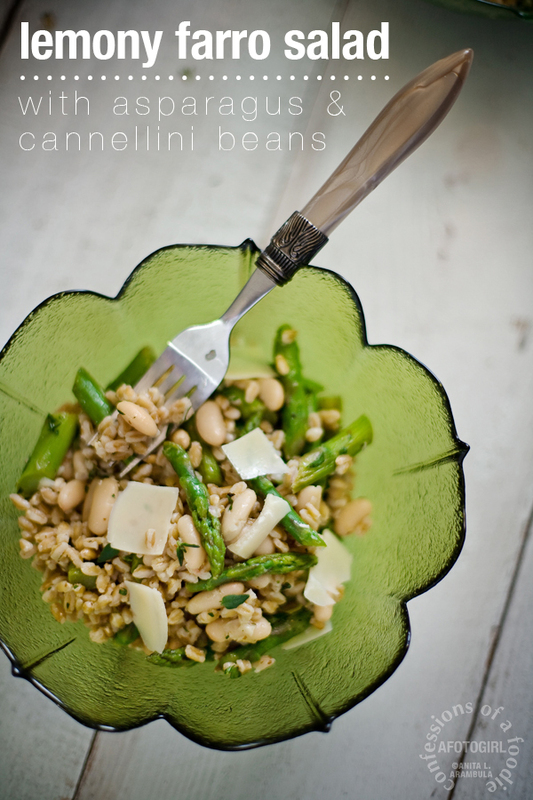 Add asparagus to farro. Add the beans. Set aside. 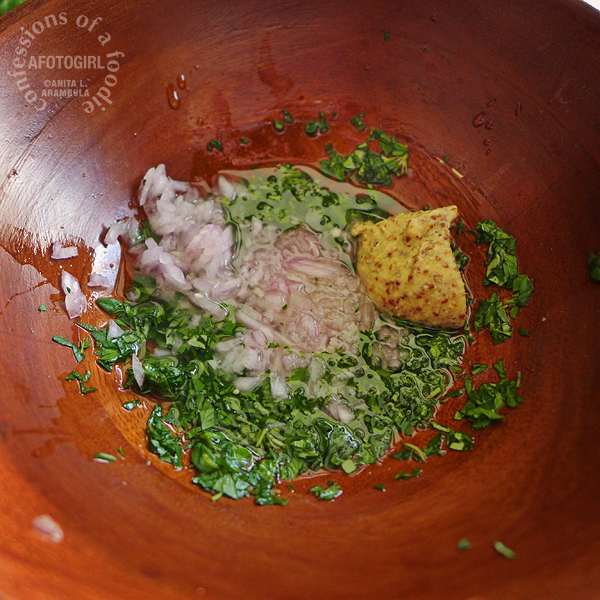 Whisk together all the ingredients for the dressing in a small bowl. 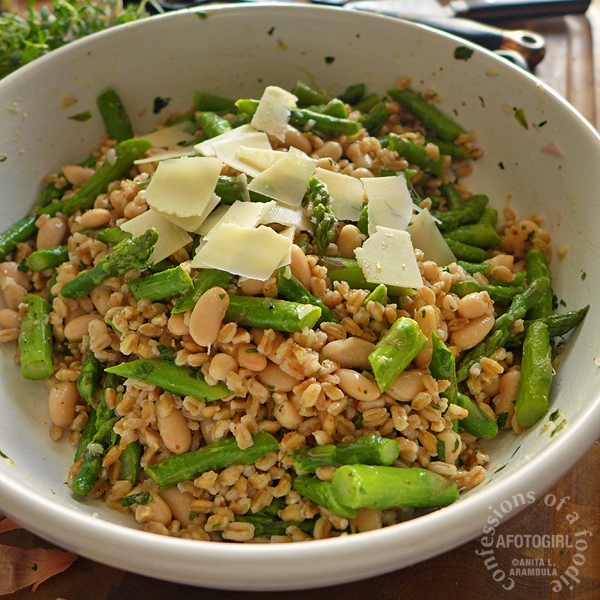 Pour it over the farro and stir to combine well. 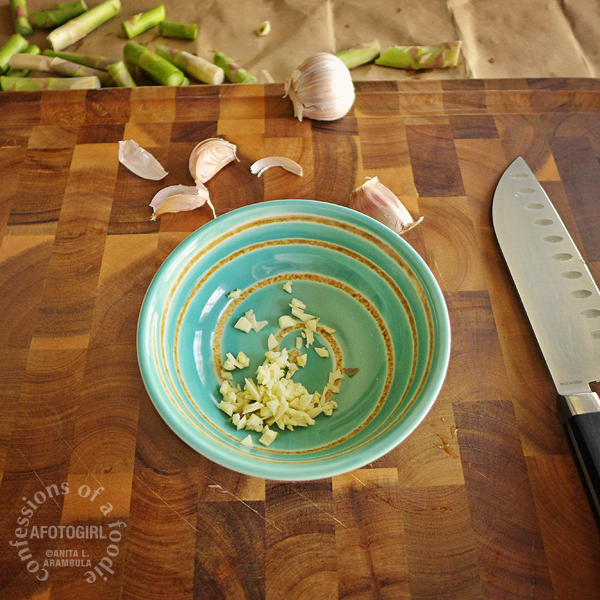 Divide between four bowls and top with freshly shaved parmesan (I use a vegetable peeler to shave mine). So, this is my last formal Meatless Monday post now that Lent is nearly over (Easter is this Sunday, already!). I'll still occasionally post a Meatless Monday recipe but I'm very ready to return to breakfasts and desserts and MEAT dishes. It's been fun sharing my lenten journey with you! 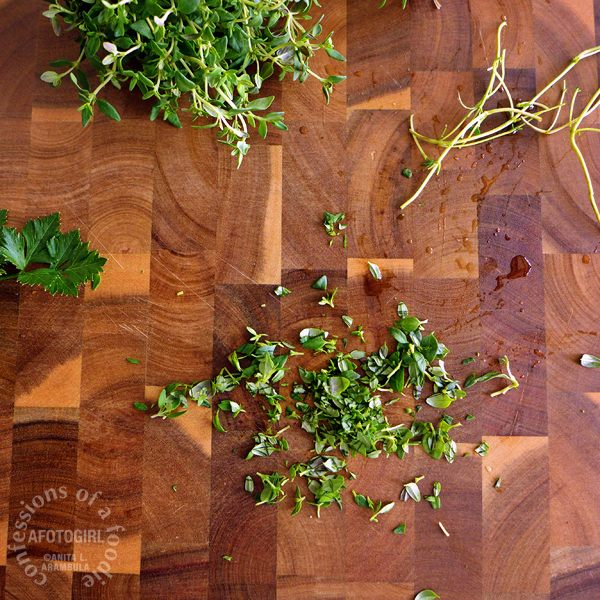 I hope you found a recipe or two that encouraged you to get into the kitchen and give 'em a whirl. This looks SO good Ani!! 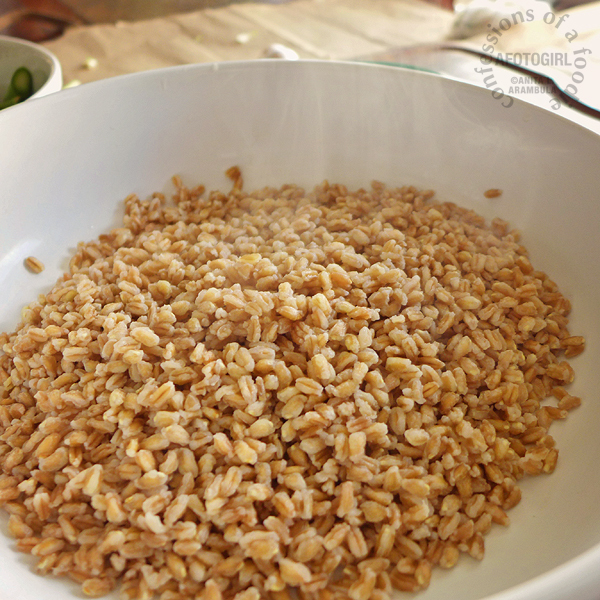 I just love the toothsome bite of farro. It's one of my favorite grains. I love that you are shooting food in your bathroom! 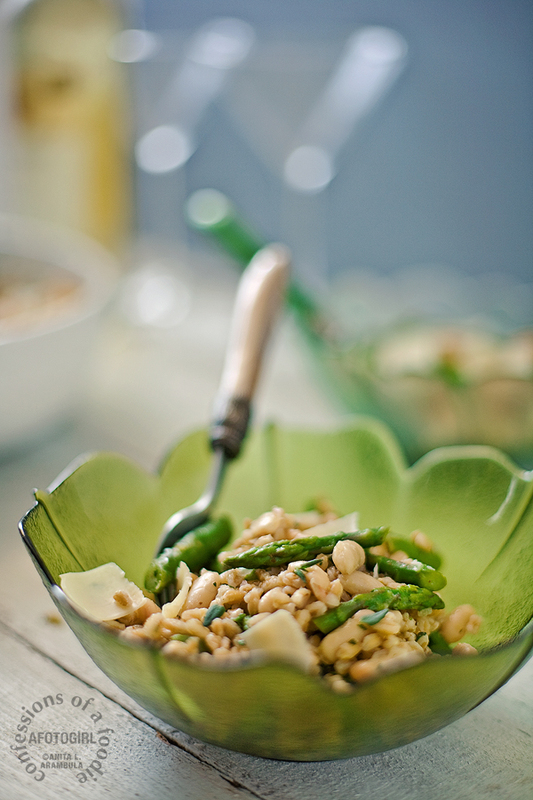 And, this salad looks really tasty and satisfying too. Good catch! Since I'm not a vegetarian, in my family, meatless is a health choice and not an ethical one so we forego meat a few times so our meatless just means no flesh. However, when I create them for the blog and tag them for Meatless Monday, I try to keep them vegetarian, making the dishes with both vegetable stock and chicken stock to make sure the flavor is spot on for both versions. When I transcribed, it here, I wrote down the chicken version. It's been fixed. Thank you for writing!